At Digital nGenuity, we don’t just invest in the success of our customers. We also invest in the success of our community. Community Involvement has been a long-standing corporate objective. For more than 10 years, our company and its staff have contributed thousands of volunteer hours to improve the communities where we live and work. Investment in our communities is just one of many ways Digital nGenuity demonstrates our commitment to being a good corporate citizen. We make it a priority to contribute to a wide range of charitable programs and events. Have a look at the local organizations we support. Take a moment to read more about them and you will see why we dedicate our time and energy to these very worthwhile organizations. Since 1971, the Ecology Action Centre has been working at the local, regional, national and more recently, international level to build a healthier and more sustainable world. While all of our work is connected to Nova Scotia, we draw inspiration from many places. We work closely with communities as well as social and natural scientists and make strong use of science in communicating our message. - Act as a watch-dog for the Nova Scotia environment. 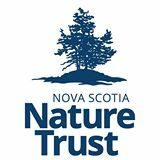 The Nova Scotia Nature Trust was formed in 1994 by a group of Nova Scotians who foresaw the wisdom of conserving the province's increasingly threatened ecologically significant lands. We are an incorporated charitable organization and are designated as a conservation organization under the Conservation Easement Act of Nova Scotia. Our work could not be done without the dedicated support of many donors, volunteers, strong province-wide membership and cooperation from local landowners and land stewards. The Nature Trust is recognized throughout Nova Scotia as the province's pre-eminent conservation organization for privately owned lands. Since its establishment in 1975, and through the generosity of the community, the Foundation has helped to fund three major building expansions and has invested more than $40 million in equipment, facilities, and programs at the Dartmouth General Hospital. The Dartmouth General Hospital Foundation is governed by a voluntary board of directors with representatives from the local community and the hospital. Funds are raised through major gift solicitation, community mail appeals, special events, planned giving, memorial gifts, other fundraising activities, investments, and parking revenue. Nova Scotia / Nunavut Command presently consists of 7 Districts which are divided into 15 Zones, incorporating 109 Branches. The new Command headquarters, built in 2004, is located at 61 Gloria McCluskey Blvd. in Burnside Business Park. Nova Scotia / Nunavut Command has, since its inception in 1925, continuously been an advocate and supporter of programs for Veterans, ex-Service personnel and their dependents. Veteran Services - advocating with Veterans Affairs Canada to promote the well being of all Veterans, ex-service and serving personnel and their dependents. Our members are encouraged to develop a life-long love of good sportsmanship and an appreciation of a healthy lifestyle. We are dedicated to the pursuit of excellence. Synchronized swimming offers substantial health benefits. Synchronised swimming provides a good whole-body workout; swimmers work to stay afloat and the manoeuvres required in the routines put balance and core to the test. It's also low-impact and works the brain for good cognitive benefits, since swimmers are required to memorize moves and master routines to the timing of music and in synchronization with teammates. Thousands of Nova Scotians face the harsh realities of hunger each month. Children, mothers, fathers, grandparents - hunger knows no barriers and its impact is truly profound. Imagine, as a child, what it feels like when the lunch bell rings and you have no food to eat. Imagine having to pretend you forgot your lunch at home because it's easier than saying there was nothing for your mom to pack. Imagine how it feels as a parent knowing that your child lives with this burden each day. Some families don't have to imagine. It's their reality, but it's something we can change by working together. FEED NOVA SCOTIA is a charitable organization that helps feed hungry people by collecting and distributing food to over 150 member agency food banks and meal programs, and strives to eliminate chronic hunger and poverty through research, awareness and support programs. Events like Canstruction Nova Scotia help make life better for those who count on Feed Nova Scotia for support. Regional Residential Services Society offers residential choices that support the individual dreams and goals of adults with intellectual disabilities. 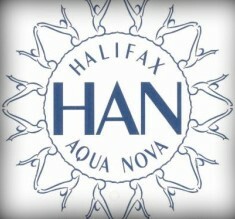 The Regional Residential Services Society (RRSS) was founded in 1978 as a result of the joint efforts of Municipal and Provincial Departments of Social Services, and the Halifax, Dartmouth, and Bedford-Sackville branches of the Canadian Association for Community Living (CACL). Following a year of planning and development, RRSS began service provision in late 1979. Since 2003 RRSS has begun to turn its efforts toward outreach activities that will support individuals either living with their families or managing their own living arrangements through supported decision making. An array of services is presently being developed that will support this more individualized direction.